The whole thing was quite different and more impressive than any American parade I had ever seen. For one thing, more people take part: there were a hundred and fifteen thousand men, women and children, and it took six hours for them to file by or perform before the reviewing stand. They all wore white shorts and white athletic shoes and socks and all had short round legs, and at a distance it was almost impossible to tell the women and the men apart. The principal colors were red, white and blue, with the occasional variations of yellow and green, and the costumes, which were perfectly simple, had been designed with excellent taste. A band which seemed as big as a regiment played the same simple march from the film “Merry Fellows” over and over again. They began with “The International.” Before the little lined-up round legs, a plain black car smoothly passes: in it are the head of Physcultur, standing up with his arm raised in salute, and Stalin and two other officials, dressed in plain white suits. A cheer like a wave goes around the square. Then the parade begins to pass. To an American, it seems a little comic to have a sports parade on this scale, or indeed to have a sports parade at all. We take tennis and basketball and bicycling and swimming and shooting for granted. It seems to us we have always been doing these things. But the Russians have only just got them. Before, under the old regime, they were pastimes of the privileged classes. And it is only since the Revolution, with the foundation of proletarian athletic clubs, that the people have been able to get sports equipment. What a novelty sport still is may be judged from the proportion of the number of the paraders, the complete personnel of the sports clubs, to the Moscow population of four million. There passes a detachment of men with shaved heads, fixed bayonets and bare chests. It begins to dawn on you that this is really a preparedness demonstration: “Ready for Labor and Defense.” A fleet of airplanes appear flying in a formation which spells “Stalin.” Black beelike bombing planes swoop and zoom, menacing, loud and dynamic—then hurtle off to specks in space. A boy goes up in a silver balloon and drops parachutes with wreaths of flowers. Yet the effect of this is never comic, as our American parades often are. It is too simple, too genuine—and too powerful. As the minute hand goes round the Kremlin clock and the clubs keep on marching past with unabated earnestness and vigor, the impression becomes overwhelming. It remained with me for the rest of the day. Even while I was having dinner with friends and when I went out to the dacha in the evening, those thick round bare legs in shorts were still marching on through my mind. I didn’t stay to the very end. After the parade proper, there were physcultur mass dances in front of the official stand. I learned afterwards that the great final feature was the emergence from something or other of a gigantic portrait of Stalin. EVERYBODY HAD TO stand up through the entire afternoon. That’s why I left after four hours. There were ramps in the stands that you could sit on; but as soon as anybody attempted to, he was smilingly admonished by a militiaman that it was not polite to do that. I asked several Russians why that was—they were not enjoying it any more than the tourists—and they said that they didn’t know: it hadn’t used to be like that. Finally, a Russian told me that it was because nobody was allowed to sit down while Stalin was standing up. And the whole thing, from the point of view of the spectators, was very much less democratic than any American parade. There were stands on only one side of Red Square, and these, by American estimates, had room for many more people than were in them. Nobody was admitted to the Square who did not have a ticket for the stands, and, as the parade took place entirely inside the Square, nobody else really saw it. Apparently the only persons who are privileged to assist at these big demonstrations are Communists, near-Communists and foreign visitors. Many of the people I knew in Moscow, in spite of repeated applications, had never seen even a May Day celebration and envied the fortunate tourist. The whole thing is an apotheosis of Stalin on a scale which makes our poor patient Presidents, standing bareheaded in the raw March winds, with their silk hats held before them in their hands, while other people sit comfortably with their hats on, seem the humblest of public servants. THE GLORIFICATION OF Stalin is undoubtedly one of the things in Russia which affects an American most unpleasantly. The paper comes out almost every day with a photograph of Stalin on the front page, either standing with a distinguished visitor or, if there is no distinguished visitor, visiting somebody or something himself; and every speech and important public document ends with a tribute to Stalin, like the prayer at the end of a sermon. Stalin is plastered all over the place, and even genuinely popular public figures such as Litvinov and Voroshilov are such a long way behind him that they seem scarcely to belong to the same race. When I spoke of this to a Russian, I was told that Stalin himself did not like it. And since I have been back, I have heard the same opinion expressed by a Russian who was anti-Stalinist: “The situation is so tense,” he said “that they have to have an ikon.” It is unquestionably true that this relation between Stalin and his public is reciprocal. An American in Russia who has been here long enough to take for granted the features which at first aroused his enthusiasm: the natural manners, the throwing open of everything to the people—is likely, as time goes on, to begin to find himself repelled by what seems to him to be the cold-blooded manipulation of the people by the governing power. He may have left the United States with a conviction that his countrymen, who keep up with the Joneses and believe what they read in the Hearst papers, are a conformist and credulous people; but, when he has had a chance to observe what seems to him the docility and timidity of the Russians, he decides that his countrymen, by comparison, are critical and self-reliant. And his instinct is to resent the brazenness with which it seems to him the Stalin administration propagandizes and dragoons the people while always formulating its policies in some language such as, “The indignant proletariat demand the execution of so-and-so.” The American is antagonized by this, as he would be if it were done to him—as, indeed, he remembers unpleasantly, it was at the time of the War. Yet this impression misrepresents what is happening. This is not the United States, and the people involved are different from us. The Russians, before the Revolution, had had a paternalistic government for centuries; they had no democratic institutions: the dumas were the dolls of the Tsar. Remember that before the Revolution, 80 percent of the Russians were illiterate. Remember that there are among these masses who march in a Physcultur parade, men who have changed their names from Svinukhin and Sobakin to Novy and Partisanov in order to destroy them memory of the time when their great-grandfathers and grandfathers were exchanged for pigs and dogs, and to establish the mere human dignity which has been brought them by the Revolution. The dictatorship of such a proletariat inevitably results in a state of things where the proletarians, though the favored class, are dictated to by a governing group. The Russian proletarians and peasants are educating themselves with an avidity and have now, it is said, almost reversed the old illiteracy figures. And they are taking most seriously their new duties of citizenship. But how can people who have just learned to read be expected to criticize the press? And how can they be expected to develop political institutions which have taken the Western peoples centuries? In the meantime, for all their efforts of progress, there is always the tendency to lapse back into their earlier relation to the Little Father. 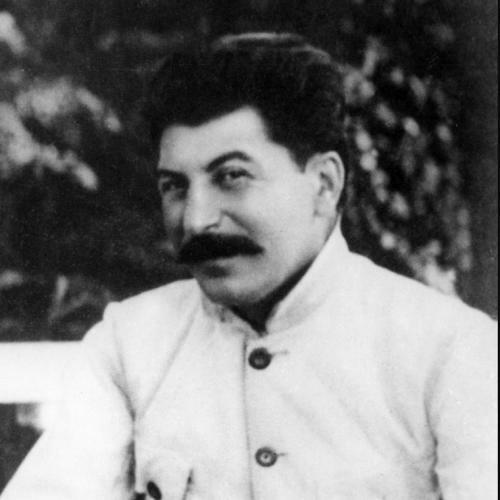 Even if old Bolshevik Stalin did not want to be Stalin apotheosized, the people would have tried to invent him. Remember that Lenin at the present time is appearing in person like any saint to the more primitive inhabitants of the Union, and that the reason why the visitors to his tomb are kept so rapidly moving is alleged to be the anxiety of the authorities to avert possible miraculous cures. One has only to attend some great public demonstration like the Physcultur parade, or even go to a popular play which has been written to illustrate some new policy and to hear the loud bursts of applause, to be convinced that the relation between Stalin and his proletarian public is very close and strong. They not only fear Stalin: they trust him to see them through. There seems a real identification of will between Stalin and a central element of the people in whose name he speaks. Admitting this, however, with all respect for Stalin’s abilities: his energy, his positiveness, his shrewdness, his adamantine adherence to his Marxism, with all appreciation of his cardinal importance in Europe at the present time, is it wise for him to allow this deification to be carried so far as it is? It is true at the present time in Russia not only that the name of Stalin cannot except furtively be taken in jest—when the radical caricaturist Will Low drew a picture of Stalin in the dust, the Russian who was with him smeared it out—but that there seems to be a tendency in some quarters to be afraid to utter it at all, like the unpronounceable name of God with the Jews. People resort to circumlocutions, just as they refer to Mussolini as “Lui.” On one occasion, when I was talking with a Russian in the streets of a country town, he began saying something about “our big man—I don’t want to say his name.” I was prepared for some sinister revelation, but it turned out that he was only going to cite with approval something that Stalin had said about his interview with H. G. Wells. I suppose that the trouble was that he was afraid to be heard talking about Stalin with a foreigner in a foreign language. But, after all, as Van Loon has reminded us, Frederick the Great, that feudal autocrat, when informed that a poster he was trying to read was a satire directed against himself, walked on, merely commenting that they ought to have hung it lower. And I got the impression, although no one would admit it openly, that most intelligent Russians, however loyal, were a bit ashamed of what had happened. I have heard a Russian, unaware of a foreign presence, groan to another Russian when he was handed the morning paper and confronted with the inevitable cap and mustache. This cult has nothing to do with Marxism and is not justified by a socialist dictatorship. Marxism regards the ruler as the human, and hence fallible, representative of the interests of certain human beings. Marxism, by definition, is irreverent toward persons in authority. Lenis was irreverent toward himself in the sense that he took himself seriously only as the agent of a revolutionary cause. He cared nothing about power for its own sake; nothing about admiration. He always acknowledged and lamented his human errors of judgment. One cannot imagine Lenin, for all the popular devotion he commanded, playing a role like that of Stalin—a role which gives constant encouragement to the people who want to make it out that the Soviets are the same thing as Mussolini, and which invites the fate of Aristides. As the Russians become better educated and more capable of thinking for themselves, how are the young people going to react to the ikon? This relation of the people to the dictatorship is the core of the whole Russian question and must be faced and dealt with by any advocate of socialism in America. It seems to me obviously impossible that s socialist government in the United States should resemble the state of things in Russia; and it is totally unrealistic for either the opponents or the champions of socialism to talk as if socialism would mean for us the naïveté’s of a Stalin regime. We have in the United States some miserable and illiterate groups; but we have in general no such feudal peasantry and no such primitive proletariat as Russia. The farmers and working class men and women, the disillusioned middle class and the radicalized executives and experts, would no more, in the political relations, resemble the Stalinist Communists and their Stalin-adoring constituents than they would be holding physical-culture parades for the purpose of celebrating the bicycle, the basketball and the tennis-racket. In spite of much corruption and many idiocies, we have certainly learned something about self-government, just as we have learned outdoor sports. Let us hope that we have no need to fear the feudal elements of Russian socialism any more than we need fear the feudal elements of German and Italian fascism. A CURIOUS INCIDENT illustrated—unconsciously on the part of persons involved—the attitude of the Russians toward Stalin. NOBODY APPROVES MORE heartily of the more ruthless policies of the government than P—, a young American living in Moscow. The very thought of the rebellious kulaks makes him furious: they had “mutinied,” he says, and they “had to be taught a lesson.” When Yenukidze fell out of favor, P— declared that what they ought to do was “put a little lead poison in his food.” Of another young American, the son of an engineer, who has never fitted in in Moscow, he says with strong disapproval that “he always goes around by himself, he doesn’t talk to anybody, hasn’t any friends: he’s a regular Trotskyite!” If anyone expresses notions which seem to him to be out of step, he cries, “Let’s have a necktie party!”—P—’s family are always kidding him, and are rather troubled about him, because he has never had a girl. This article originally appeared in the April 15, 1936, issue of the magazine.